Linda is an ethnobotanist and also serves as the Director of Traditional Medicine at the Standing Rock Mni Wiconi Clinic, which is a fully integrative clinic focusing on decolonized medicine. In this interview she talks about; being in right relationship with the plant ‘relatives’, what the current situation is at Standing Rock and what the Lakota elders are saying about the time that we live in and what our future might have in store. Linda Black Elk (Catawba First Nation) is an ethnobotanist specializing in teaching about culturally important plants and their uses as food and medicine. Linda works to build curriculum and ways of thinking that will promote and protect food sovereignty, traditional plant knowledge, and environmental quality as an extension of the fight against hydraulic fracturing and the fossil fuels industry. She has written for numerous publications, and is the author of “Watoto Unyutapi”, a field guide to edible wild plants of the Dakota people. Linda is the mother to three Hunkpapa Lakota boys and is a lecturer at Sitting Bull College in Fort Yates, North Dakota. 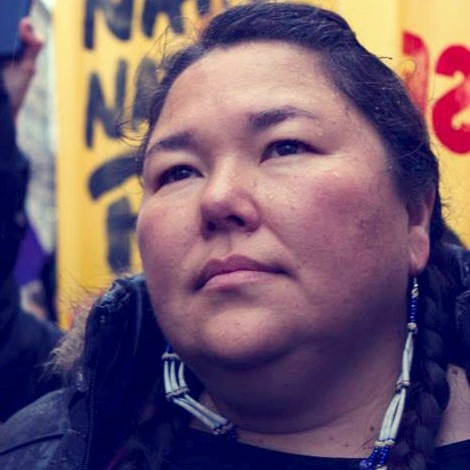 Linda also serves as the Director of Traditional Medicine at the Mni Wiconi Clinic, which is a fully integrative clinic focusing on decolonized medicine at the Standing Rock Reservation.